In general, Thanksgiving is essentially the end point of the college football season. It’s typically the last week of Oregon and Oregon State’s regular season schedule , as well as the Civil War (I have tickets this year!) rivalry. And even for non-football watching families, there is generally a game on in the background in many houses and families are getting together to toss the pigskin around a bit while waiting for dinner. While football is drawing near to close, there is a new football-themed turkey trot – the Great Turkey Fumble in Newberg – that looks super unique and intriguing! Our so called TurkeyBacks will compete for distance and accuracy. Each runner throws their ball at one of the four targets. Hit the target that is 5 yards away, get the white chip. Hit the target that is 35 yards away, get the gold chip! But remember, each runner only gets one throw, one chance to hit any target they choose, there’s no re- throws! How good are your hands at catching a football? Can you catch a ball from 10 yards away? What about 50? 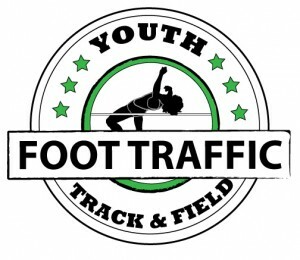 It’s up to each runner to determine how far they want to run a football route to catch a football pass from a football player. Complete a catch from 10 yards and get a red chip, catch it from 50 yards out, get a gold chip! Think you have the best boot around? Think you can punt a football into a trash can from 30 yards out? Think you’ll still have a good boot after running 4 kilometers? It’s the ultimate kicking test. Runners will punt their ball, skillfully attempting to land their ball in one of many Mayflower ships/trash bins around the grounds. It’s like a “Beer Run”, but with football challenges instead of chugging beer. I think this is such a cool take on a turkey trot! Thefinal challenge will be avoiding the live football defenders to score a touchdown at the end of the race. 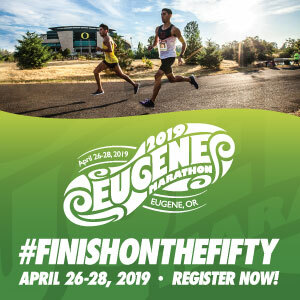 The race benefits Newberg FISH Emergency Food Service, which provides emergency food services, as well as joins together with other local agencies to help people meet other critical needs such as housing, medical and dental care, and job placement. FISH staff members, much like many race directors and races across the state, are 100% volunteer. In 2016, they assisted an average of over 1300 people per month (387+ households) with this imperative need. Your race entry dollars and non-perishable food items will go a long way. Check this one out! Follow them on Facebook.